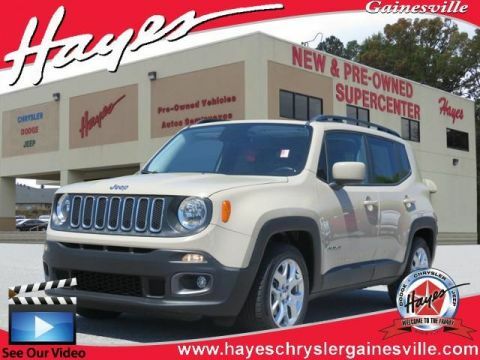 Pre-Owned vehicle pricing includes all offers and incentives. 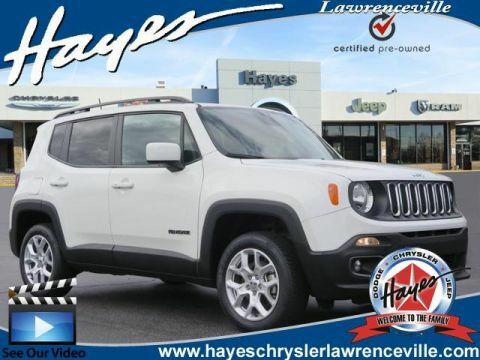 Tax, Title and Tags not included in vehicle prices shown and must be paid by the purchaser. While great effort is made to ensure the accuracy of the information on this site, errors do occur so please verify information with a customer service rep. 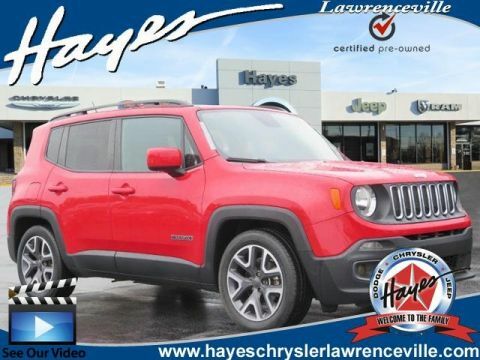 This is easily done by calling us at 470-264-5440 or by visiting us at the dealership. Clean CARFAX. Certified. 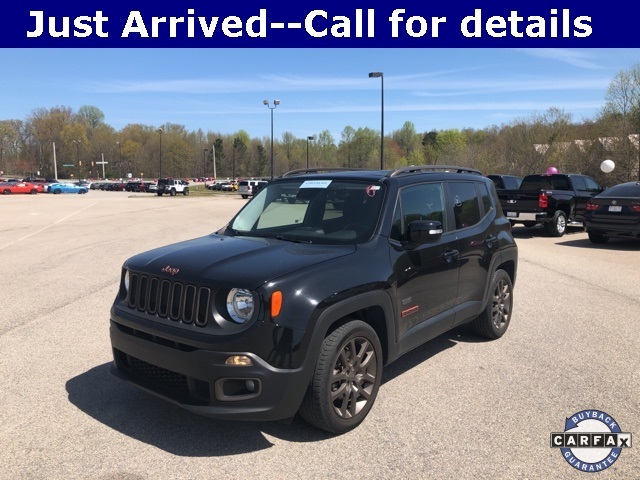 Black 2016 Jeep Renegade Latitude FWD 9-Speed 948TE Automatic 2.4L I4 MultiAir FCA US Certified Pre-Owned Certified, Clean Carfax, 6.5" Navigation Group w/Uconnect, 6.5" Touchscreen Display, 75th Anniversary Badge, 75th Edition Cloth/Mesh Bucket Seats, Beats Premium Audio System, Bronze Fascia Applique, Bronze Grille Surrounds, For Details Visit DriveUconnect.com, GPS Navigation, HD Radio, Jeep 75th Anniversary Package, My Sky Fixed/Removable Roof Panels, Passive Entry Keyless Go Package, Passive Entry/Keyless Go, Quick Order Package 27F 75th Anniversary, Radio: Uconnect 6.5 Nav, Remote Start System, Remote USB Port, SIRIUSXM Traffic, SIRIUSXM Travel Link, Uconnect Access, Wheels: 18" x 7.0" Bronze Painted Aluminum. For over 41 years our motto has been "welcome to the family" Call today for an appointment.